A sharp and spicy twist to a classic dish. Now that the beginning of the end of Summer is upon us and Autumn is just around the corner (yay! ), my internal food-loving clock is starting to crave those comfort foods that embrace you from the inside out. Soups are my favorite all year round, but tomato soup in particular is one that I enjoy most when it's nippy outside and for some reason never fails to put me at ease. 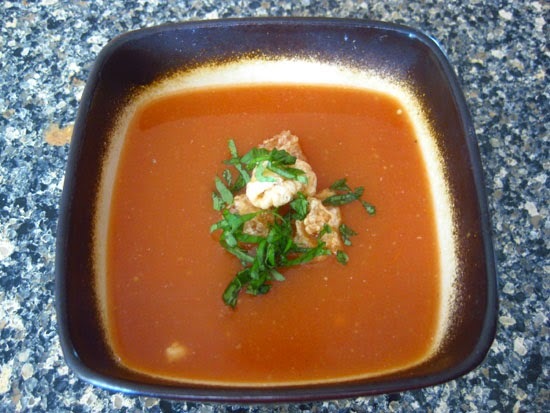 As I mentioned in the title, this soup is not only delectable hot for the colder months, but can be enjoyed cold as well for a savory refreshment during these past HOT HOT HOT couple of days. 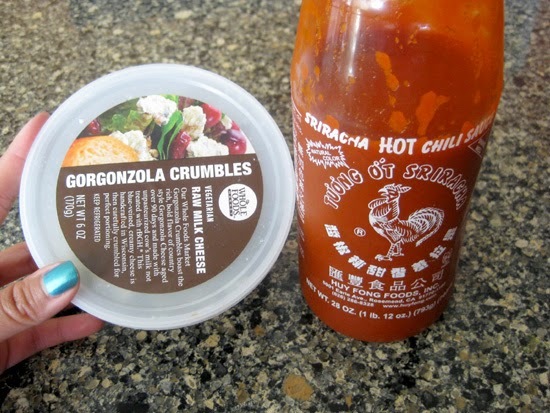 I added some Sriracha for the spicy/sweet yummy flavor and gorganzola for a sharp cheesy and creamy texture. Gorgonzola cheese is not for everyone, so you can certainly substitute with blue cheese or even a sharp cheddar would be delightful. Roughly chop all the vegetables and place in a pot of water. Simmer vegetables for 30-45 minutes or until vegetables are very tender. Using an immersion blender or a separate blender, blend until completely pureed (no lumps). Add salt, pepper, and sugar to taste. Add gorgonzola cheese also taste. Allow to continue simmering until cheese is melted in. 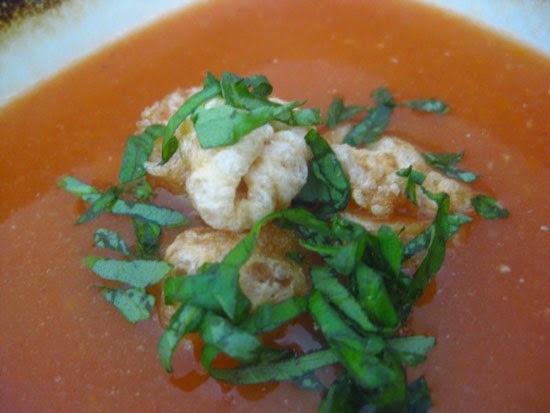 Garnish with fresh chopped basil and pork rinds. Storage: Freeze in chinese containers or any airtight container for up to 4 months! I know I've been crap at updating my blog lately, but with a recent surge of inspiration (from what, I still don't know), I hope to be more consistent and rediscover my love of blogging...especially about yum yum's!